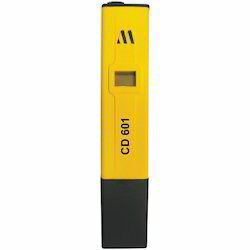 Bright Medi-Weld Appliances excels in rendering a qualitative range of pH Meter, which is offered to the clients at leading market prices. The Tools are highly appreciated by Construction Engineers, Professionals, Students, Researchers, Govt.Agencies etc. We have a range of latest Engineering Tools which are Simple to use, Less Time Consuming, Accurate & suits your application. Multi functions: PH, mV, Temp. Large size ( 18 mm) LCD display. Built in analog output terminal. mV function for ion-selective, ORP and other precise mV measurement. Display: 18 mm ( 0.7" ) LCD, 3 1/2 digits. Measurement: PH, mV, Temp. ( optional probe ). TEMP. : ± 0.8 ? Temp., mV - within 23± 5 ? PH : Main instrument only. PH range Temp. Compensation :Manual : 0 C to 100 C external knob, adjust temp. values showed on display.Auto temp. compensation : with the optional temp. 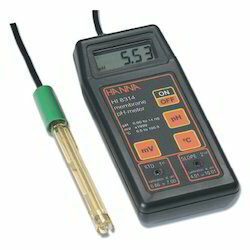 probe, 0 to 100 C.
Analog Output:The analog output is 0.1 mV/per digit of the display both of PH, mV,Temp. function. Sampling Time Approx:. 0.4 second. Calibration Knob: External PH 4 ( slope adj. ) & PH 7 (Cal. adj.). Power Supply: 006P DC 9V battery. Power Consumption Approx. : 2.7 mA. Dimension: 160 x 80 x 35 mm, (6.3 x 3.2 x 1.4 inch). Weight: 250 g/0.55 LB (including battery). PH electrode ( optional ): Any connector PH Electrode with BNC connector. Standard Accessories: Instruction Manual..........1 PC. 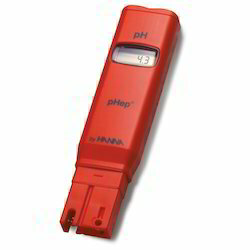 Pen type digital pH meter, all in one, pH electrode is included, easy for general purpose application. pH 4, pH 7 standard solution are standard accessories. Easy to change the pH electrode. 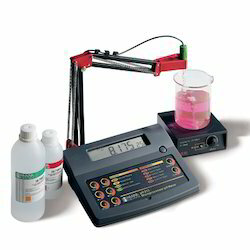 Auto calibration for pH 4, pH 7 or pH 10 or other value. LCD with two displays and bar graph indicator. 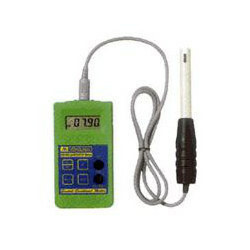 100 point data logger with recall. 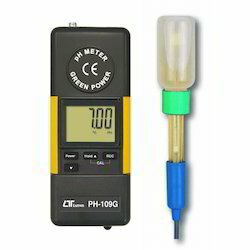 Complete set with pen pH meter, soil pH electrode,pH 4.0 /pH 7.0 standard buffer solution. Spear Tip pH electrode ( included ), ideal for penetration pH measurement into soil, meats, cheese and other type of measurements requiring sample penetration. The electrode features a very durable glass measuring spear packaged in a rugged virtually unbreakable epoxy body. 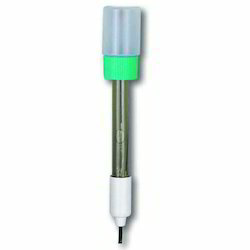 Separate soil pH electrode, easy for general purpose usage and remote measurement. Others: High input impedance, BNC input socket. Hybrid power, power supply from green power ( handy generator ) or battery. If power source come from " Green power ", battery is no need. Operate the generator 20 seconds will offer 10 minutes energy typically. 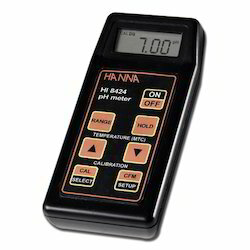 pH measurement range : 0 to 14 pH x 0.01 pH. pH function with high input impedance avoids measuring error. Microprocessor circuit assures high accuracy and reliable performance. Large LCD, dual function display. Auto power shut off to battery life or manual power off. Powered by 006P DC 9V battery. Easy and automatic pH calibration procedures. Using the durable, long-lasting components and a strong lightweight ABS-plastic housing case. Wide applications: water conditioning, aquariums, beverage,fish hatcheries, food processing, photography, laboratory,paper industry, plating industry, quality control, school & college. 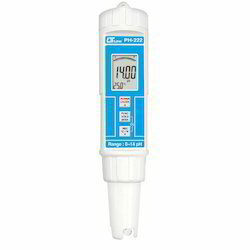 Professional pH/mV METER:pH range : 0 to 14 pH x 0.01 pH., mV range : -1000 mV to 1000 mV. Wide range manual temperature compensation adjustment. 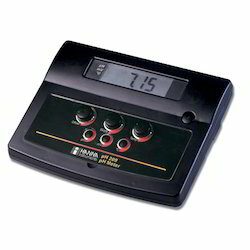 Optional ATC (Automatic Temp. 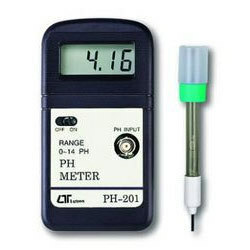 Compensation) probe is available for pH measurement. RS 232/USB computer serial interface. Wide applications: water conditioning, aquariums, beverage, fish hatcheries, food processing, photography, laboratory,paper industry, plating industry, quality control, school & college. 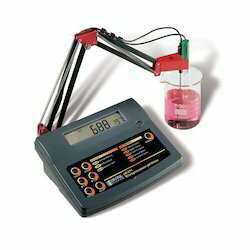 PH ELECTRODE :General purpose, laboratory and field usage. Model : PE-03 * 12.3 mm dia. x 160 mm. 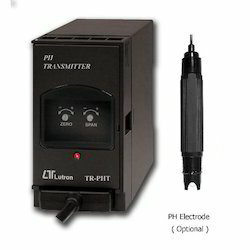 Product Contents:HI 8314 is supplied with pH electrode, calibration and cleaning solutions, calibration screwdriver, battery, protective case and instructions. 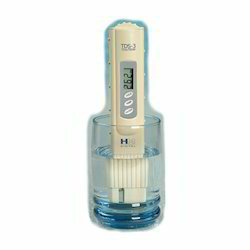 Product Contents:HI 8424 is supplied with pH electrode, temperature probe, calibration and cleaning solutions, battery, protective case and instructions. Product Contents:pH 211 is supplied with pH electrode, temperature probe, electrode holder, pH 4.01 & 7.01 buffer solutions (20 mL ea. ), HI 7071S electrolyte solution, power adapter and instructions.Automatic or manual Temperature Compensation, Extended mV Range. 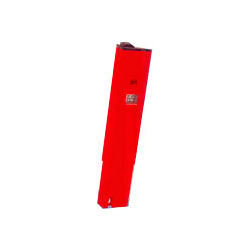 Product Contents: pH 209 is supplied with pH electrode, power adapter and instruction manual. 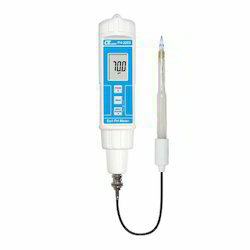 Product Contents:pH 213 is supplied with pH electrode, temperature probe, HI 76404N electrode holder, pH 4.01 & 7.01 buffer solutions (20 mL each), HI 7071S electrolyte solution, power adapter and instructions. 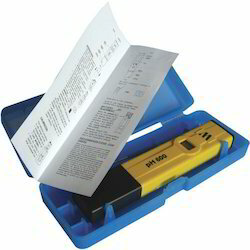 Product Contents:Supplied with protective cap, calibration screwdriver, batteries and instructions. Display LCD, size : 45 mm x 29 mm. Range/Resolution 0 to 14 pH x 0.01 pH. 0.2 pH ( pH 1 - pH 3.9, pH 10.1 - pH 13 ). 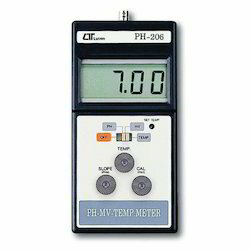 PH range Temp.Compensation: Not necessary to adjust. Operating Temperature: 0º to 50º ( 32º to 122º ). Calibration VR: External pH 4 ( slope adj. ) & pH 7 ( Cal. adj. ) calibration adjustment VR. Power Consumption: Approx. 2.0 mA. Dimension: 131 x 70 x 25 mm,(5.3 x 2.4 x 1.3 inch). Weight: 153 g/0.34 LB (including battery). 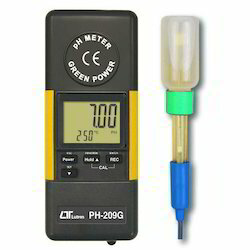 Looking for pH Meter ?